The Oscars are this Sunday, and a case can be made for just about all of these Best Picture nominees. They are all different and they each cater to a different audience. There are no films on this list that you say to yourself, “Man, I just don’t get why this is here.” And no film represents that concept more than Get Out, a film that really caught a lot of people off guard with how well-made it was. It became one of the most talked about films of the year and it is absolutely deserving of a Best Picture nominee and, dare I say, a Best Picture Award? I’m rooting for Get Out this Sunday at the Oscars, and let me tell you why. 1 – It came out in February! In a day when we have very strong recency bias, Get Out has stayed with us for over a year now. It was released in February of 2017, and with each passing month, it became a stronger film for its themes, for its dark comedy, for its brevity in storytelling. 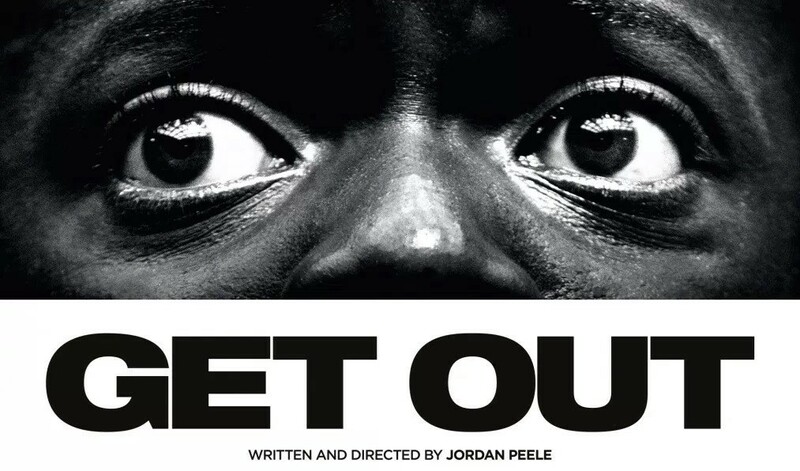 And as the months went on and more and more films came out, it became evident that Get Out was beginning to prove itself to have staying power. The mere notion that we are just as hyped about Get Out now as we were when it first came is a testament to how well-constructed this movie is. Most of the films on the Best Picture list came out during award season. They have the aroma of award season. Get Out isn’t like that. It doesn’t “feel” like it was made for the awards. It feels like it was made for the people. And as such, it doesn’t cut corners. It doesn’t try to manipulate the audience in any way. It allows the audience to take in the story and form their own thoughts on it. It’s not a preachy film. It’s a movie that knows the story it’s telling and goes all in on the unique concept. 2 – Watch it once, get hooked. Watch it again, get educated. When I watched the film the first time, I was terrified by the things on that screen. The subtlety of the themes, the dark humor that was boiling, the oddities of character that hovered over everything, I was pretty much blown away. It’s easy to just watch and film and move on. That’s what happens most of the time. But when I saw Get Out, my jaw dropped, and I was left wanting to learn more about the universe that Jordan Peele created. And finding out the attention to detail that went into weaving the themes throughout the narrative was quite eye-opening. This film wasn’t made haphhazardly. It was made with great care. So going back to watch it again, you begin to see those little details start to stand out so much more, and it’s like watching a completely different film. When there’s a story within the story, you know you’ve got something special. It’s unlike any of the other Best Picture nominees in that regard. And while they all tell their own unique story, Get Out does it in a way that keeps you coming back to figure out what you can learn. And you’ll learn a lot. 3 – It’s flat-out entertaining! There’s a problem that I’ve seen with Best Picture nominees. Not all of them, but a lot of them, tend to be just…hard to watch. They aren’t easily accessible. A movie like Phantom Thread was riveting, engrossing, and challenging, but it’s not all that entertaining. Three Billboards was built on the shoulders of great performances, but it’s not something that everyone can get into. It’s a tough watch. Dunkirk is telling a complex story of hope in the middle of despair, but it just isn’t that intriguing with its lack of character growth. Lady Bird is highly enjoyable, but it’s eccentric and odd. Gary Oldman gives an incredible performance in Darkest Hour but he’s on the screen for 90% of the time. The Post may find itself to be too on-the-nose for our current times even though it has an all-star cast. The Shape of Water looks great, but it’s a quirky, R-rated story about a fish-man and a woman that you’ll either love or hate. And Call Me By Your Name, with its abundance of nominations, isn’t going to be for everyone. Get Out, for my money, is incredibly thought-provoking about the landscape of covert racism and low-key relatability (“I would have voted for Obama for a third term”) while also being highly entertaining. It’s something that everyone can watch and gain something from. It can be a popcorn film if that’s what you want, but it can also be a deep journey into the human complexity. All of the nominees in the Best Picture category feel like Best Picture nominees. Get Out feels like the one that shouldn’t be there, and yet, it’s the one that deserves to be there the most because of its bold approach to taking a lot of ideas and allowing each of them to breathe within the film. It never forces the viewer to see the film from a pushed point of view. Rather, each viewer is able to take something different and significant away from this near-masterpiece. That’s why I’m rooting for it to win Best Picture. It’s a head above the rest. Stale Popcorn Copyright © 2019.